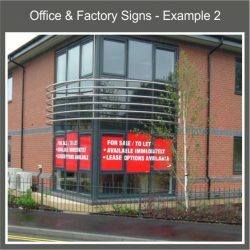 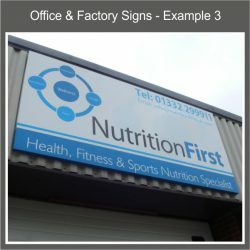 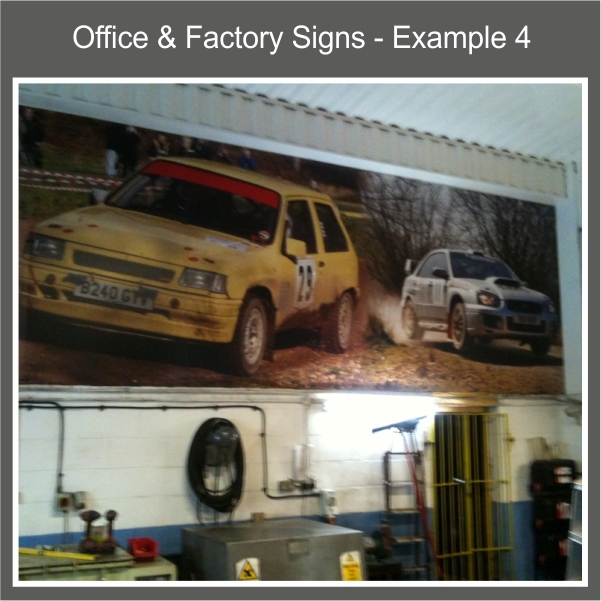 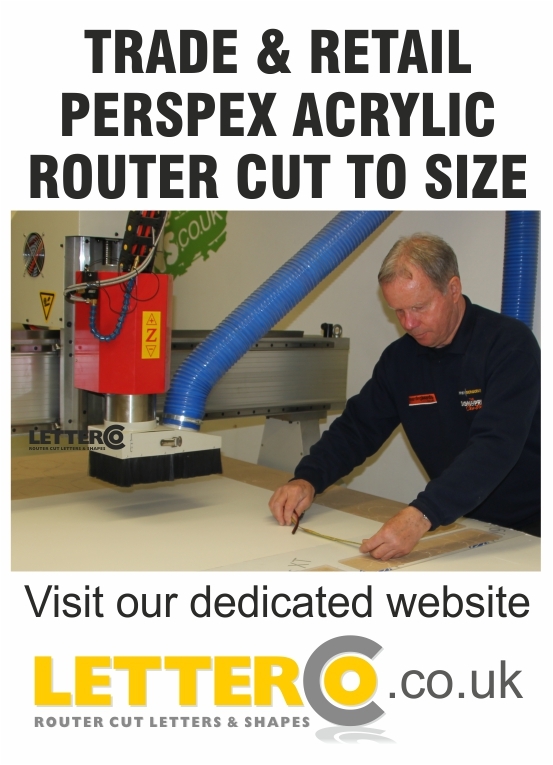 A wide range of signs are available for Offices & Factories. 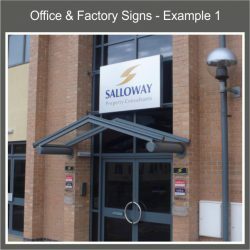 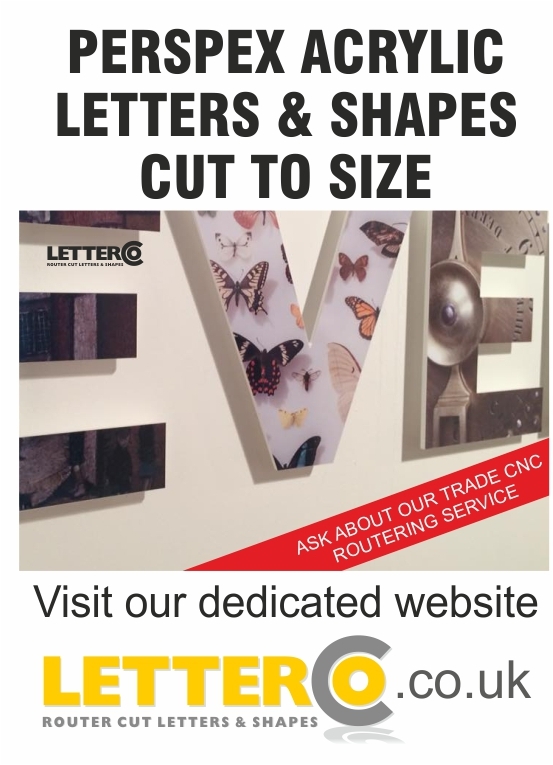 We manufacture in-house directional signage, corporate signage, Door name plaques, factory motivational messages, safety signs, fire exit signs, bespoke signs and charts for production departments and stores departments, racking identification labels and signs and more. 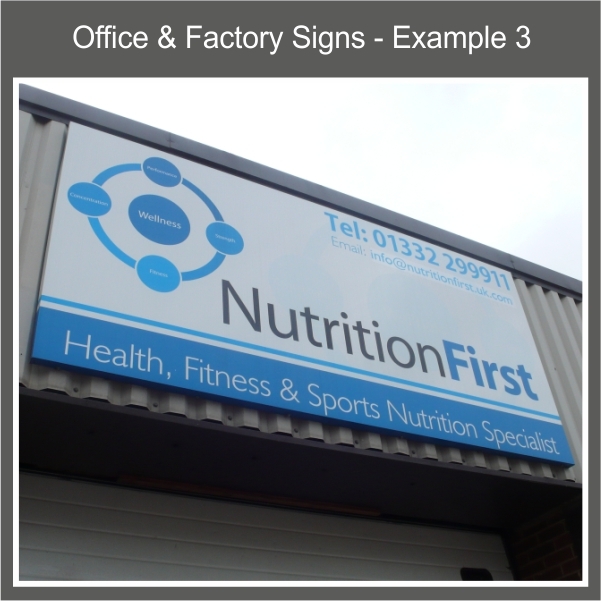 Let us know your requirements and we will be able to advise on a solution to help bolster your corporate image or improve your work-flow.